“Julley ji! Aaj aap bahut achhe time pe aaye. 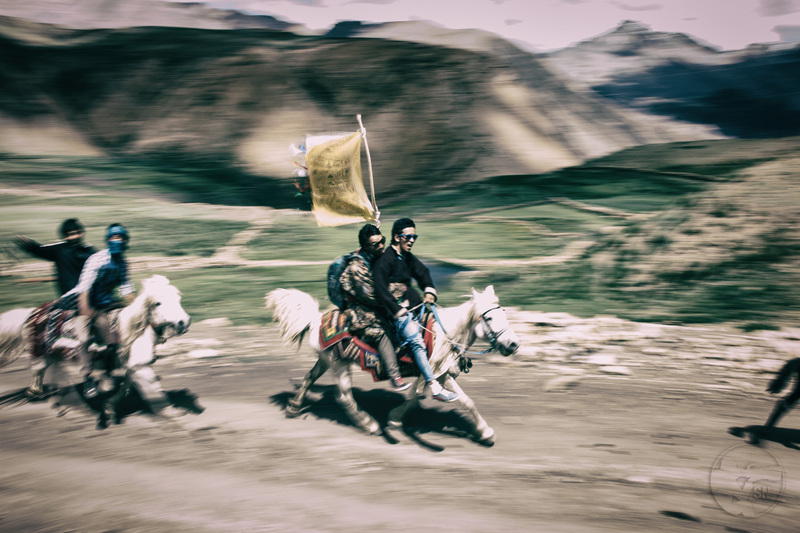 Aaj hamara bahut achcha festival hai.” With his bright smile, Tashi leads us up the narrow lanes of Demul – a tiny village, high above the Spiti Valley. 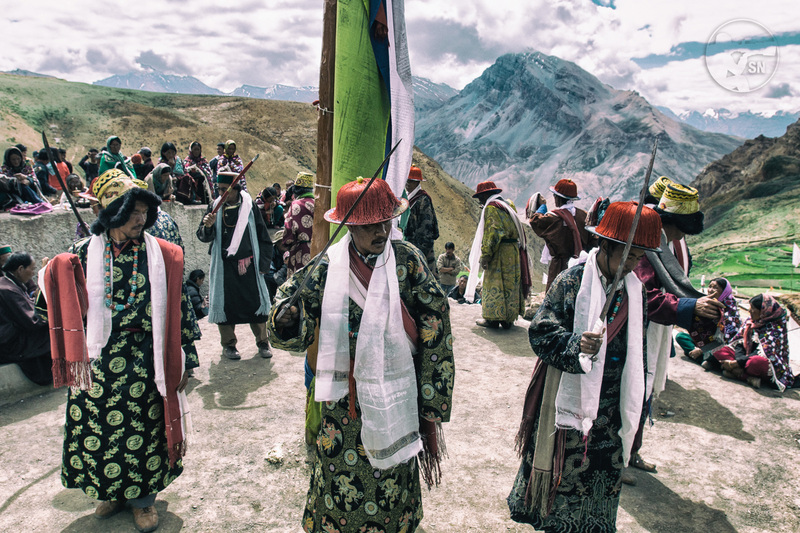 It is summer in the Himalayas, and Demul is celebrating the Namkhan, its annual harvest festival. The whole village is gearing up for festivities, and ready to welcome visitors from nearby villages of Lingti, Rama, Komic and Lhalung among others. The Spitian summer is a short one, lasting 4 months at best. It is the only window for the locals to grow their crops of wheat, barley and peas. 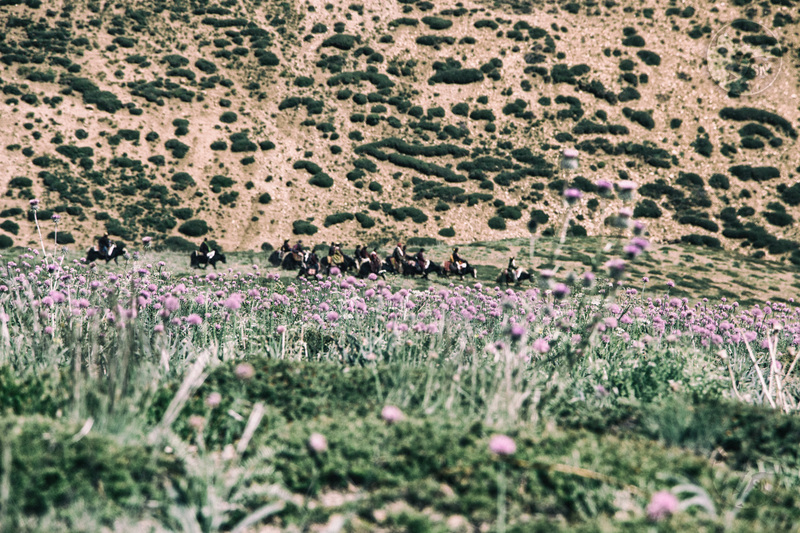 Local legend says that Demul gets its name from a dimo – a domesticated yak that had strayed and found this fertile slope, where the new village was established. 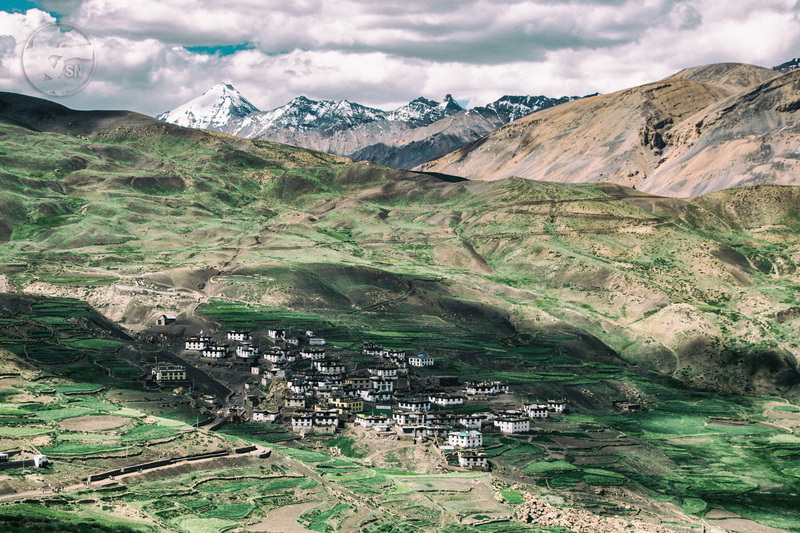 And it was this fertility that over the centuries, has allowed Demul to grow into one of the more prosperous villages of Spiti. The Namkhan begins with the offering of prayers in the village monastery. Women bring balls of butter made from Yak milk, and these are used to fuel the ceremonial lamps. Meanwhile the courtyard of the monastery starts to fill up with expectant locals, all jostling for the best seats. 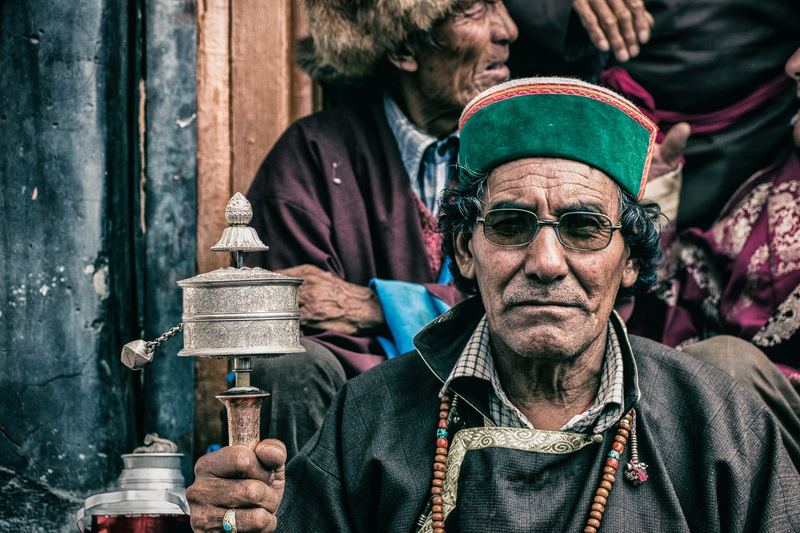 A village elder waits outside the monastery, with an ornately carved prayer wheel. Old ladies turn up in groups, grandkids in tow. Some of them are sisters and cousins, married in neighbouring villages. The Namkhan is a great opportunity to catch up on gossip. Children meantime, trundle off – with games of their own to play. 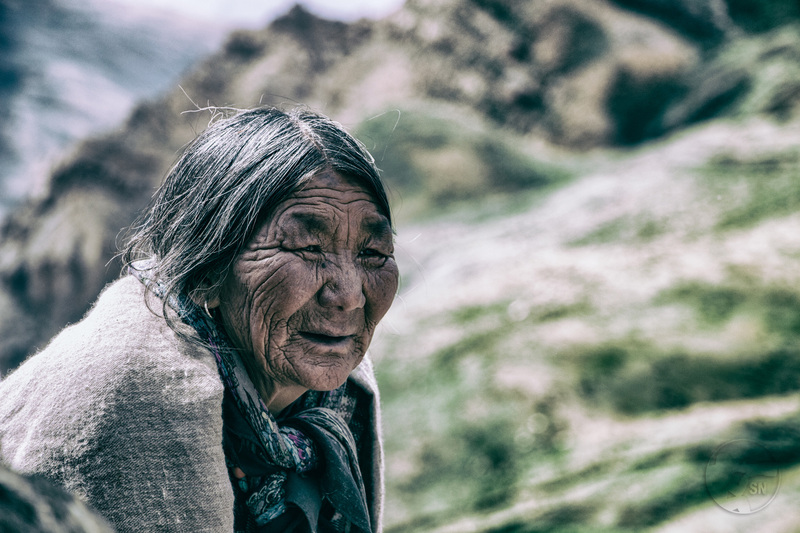 At nearly 90 years old Dolma has seen more Namkhans than she can remember. Yet her enthusiasm remains the same. As soon as the prayer ends, temple bells and cymbals ring and a loud cheer goes up among the crowd. The main attraction of the morning is about to get underway. It is time for the Chhanak Chaam – a ritual dance performed by men, in praise of the village’s patron deity. Chhanak is the name given to the ceremonial headgear worn by the dancers. Their ornate costumes are traditionally of made silk, with traditional motifs weaved in with golden thread. Most dancers carry swords or knives in their hands, while a few perform with scarves. A dancer with a ceremonial sword in hand, performing the opening steps of the Chhanak Chaam. The swords are family heirlooms, with the blades often inlaid with mantras. The dance is performed in a slow, circular manner – usually around the Darchog or flag pole that dominates the courtyard. The musicians too are in traditional attire, playing long pipes known as ‘Tangchim’ and drums, known as ‘Ghaan’. Traditionally, the dance is performed by the eldest sons or heads of important families in the village. And performers, going around the Darchog clockwise, for nearly an hour. Meanwhile, the women look bored – they soon tire of the long slow and repetitive movements and get busy with their chatter. Their main part in the day’s ceremonies is yet to come. The photographers among us cannot seem to have enough though. Some are perched high on the monastery for the perfect view of the circle, while others are sprawling on the ground for a low angle. A visibly bored lady can’t wait for the men to finish their dance. Mercifully the men finish their business by mid-morning and everyone troops back into the village. 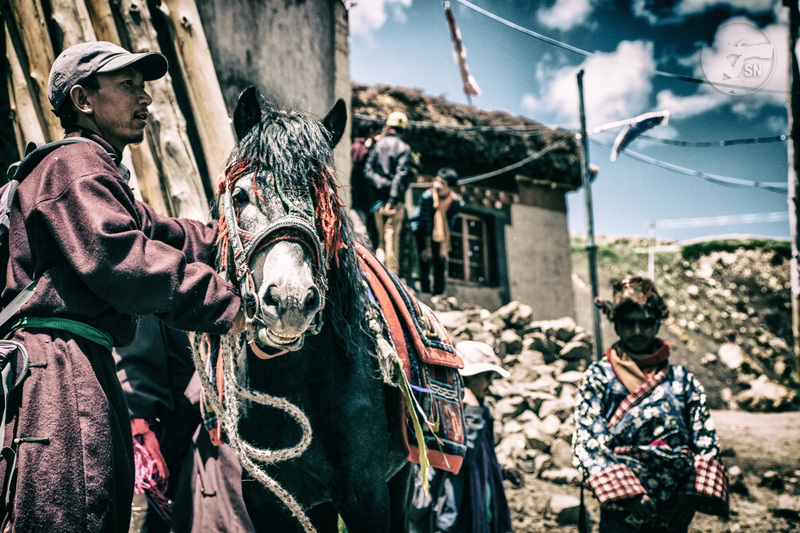 Farmers gather in the main street with their livestock – horses, ponies, sheep and yak, all festooned in ceremonial braids and cloaks. The animals are not accustomed to the hullaballoo, and stamp uneasily, while their handlers struggle to struggle to hold them still. There is loud shouting from across the corner, and everyone scampers to vacate the street. 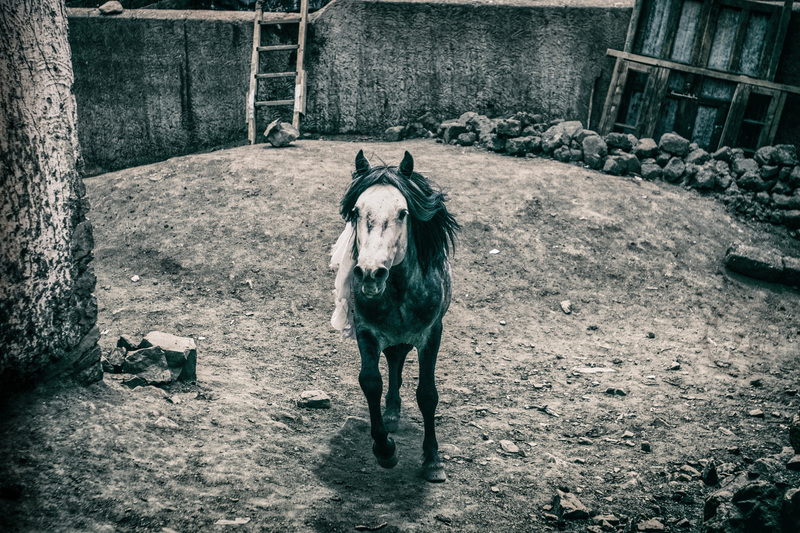 There is loud neighing and the most beautiful horse than one can imagine – gallops up the street by itself. 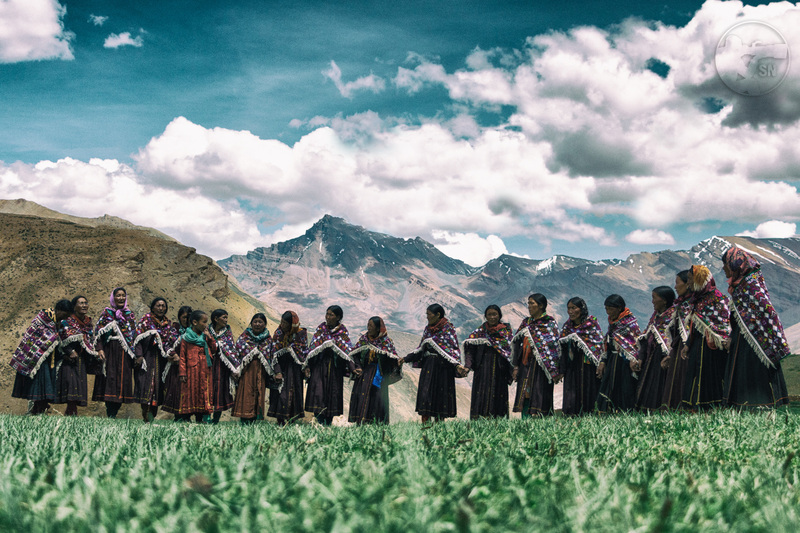 This is a Chaumurti – a hardy mountain breed that has served the Spitian people for centuries. Prized beyond gold by the locals, they are among the few beasts of burden that work regularly at altitudes of over 5000m. The ceremonial horse that is let loose on the village streets is considered the chief of all horses. He wears no bridle or saddle, and its mane or tail is never trimmed. As soon as the street is clear, everyone throngs it again. The bedecked animals are brought to the centre. They await the Gur, the local shaman who has spent the morning chanting mantras, and consuming copious amounts of arrack (locally distilled liquor). It is said that Gur is possessed by the local devtas or spirits, and he acts as a medium between them and people to bestow their blessings. The Gur blessing local livestock with arrack – an offering to the devtas. The street is saturated with the rich smell of arrack. The jittery animals, now heady with the alcohol fumes are ready to stampede. But we seem to be the only ones concerned. The locals are too busy, looking forward to the feast. And that is to be held in the fields below the village. So we all trudge down into an open meadow, where in the centre sit a whole bunch of bottles – full of alcohol. 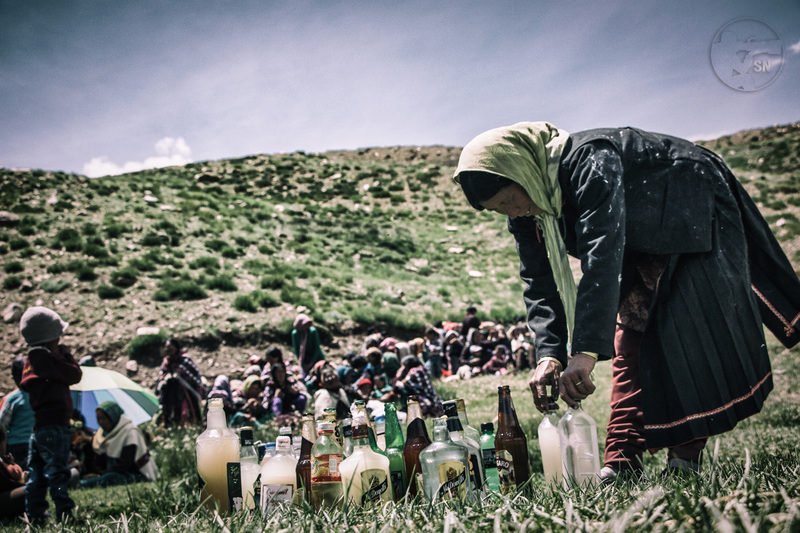 A local woman sets down her share of alcohol for the day. A bottle of arrack (the clear liquid), and home brewed wine called chhang, made of rice. This promises to be a heck of a party. For every house has brewed at least a few bottles of arrack and chhang, and they are all meant to be consumed today. Nothing is going back. But before the drinking can begin, it was the turn of the women to go dancing. They all wear brilliantly hued shawls draped over the shoulders. Woven from yak wool, and with Buddhist and Hindu motifs blended in bright thread – these are brought out for special ceremonies only. 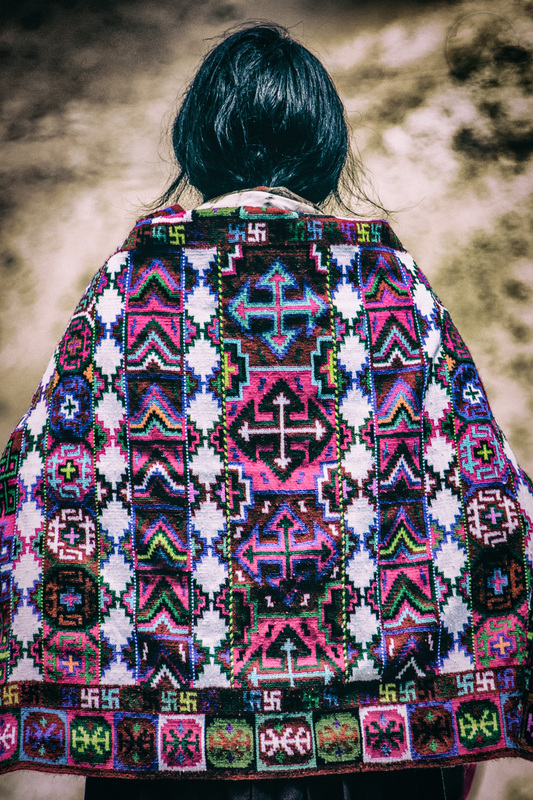 The brilliantly coloured shawls of Spitian women. 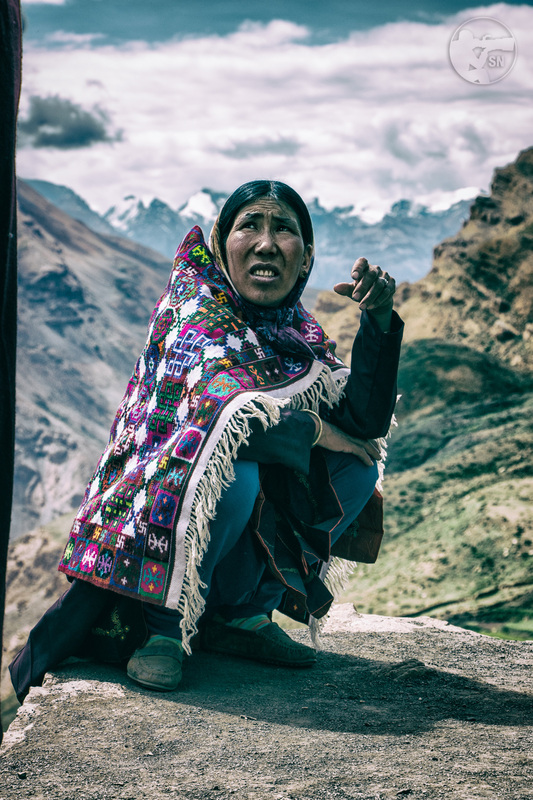 Curiously, they reminded me of Native American or for that matter Bolivian women. 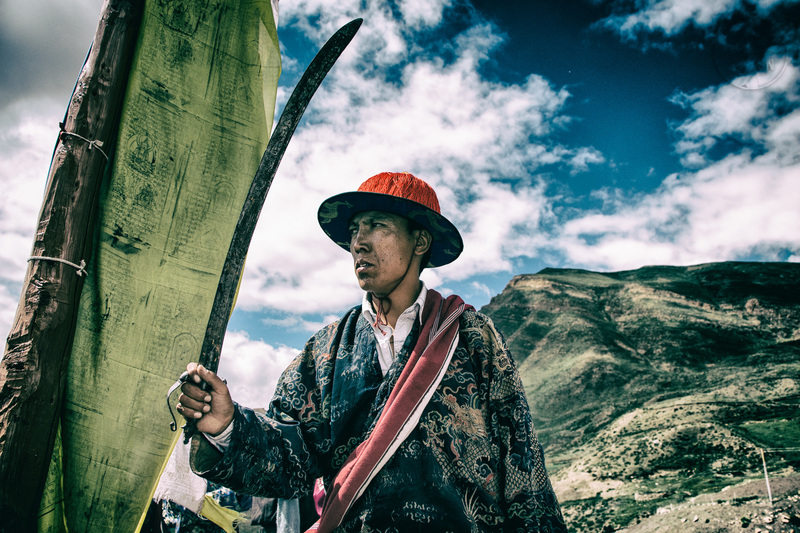 Cultures far removed from the remote Himalayas. After much waiting, the women’s dance gets underway. There’s no music, no loud instruments. Just some lovely ladies holding hands, and singing in melancholy voices as they slowly move in a circle. There is something utterly serene and calming that I just lie back on the cool grass and forget the world for a bit. A young girl watches her elders perform the traditional women’s dance. They receive no formal training, the words and movements picked up over the years. This could very well have been a scene from 500 years ago and not much would have changed. Dance over, the crowd gets raucous. Everyone now wants to get on with the party. But traditions have to be followed first. The elders from Demul and other villages get the first pour – chhang, followed by arrack. It’s only them who get glasses. For the rest of us, it is straight from the bottle. The booze is over in minutes. Oh wait! Some of it is going into saddle bags. The young boys are swinging a leg over their horses and ponies and galloping away into the distance. 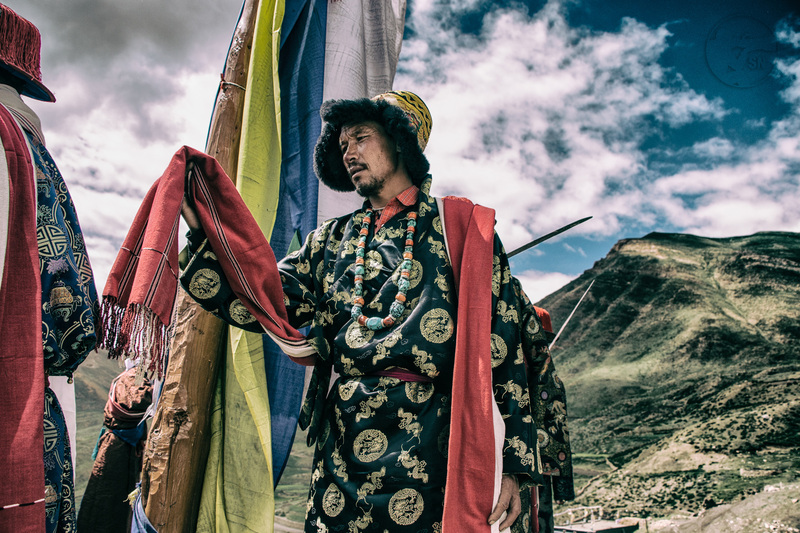 Young men from the village now get into a race to Balang Ri – the highest point around Demul. There they will bring down the year old prayer flags, and replace them with new ones – sending out renewed hope to the world. 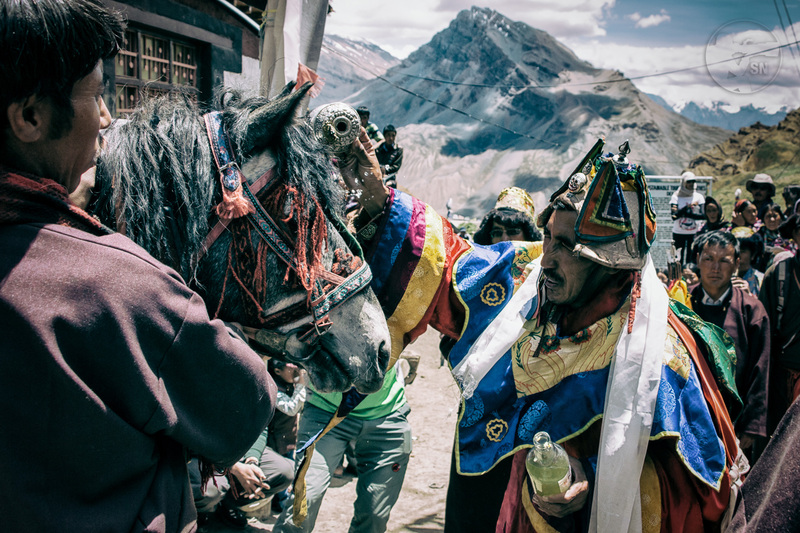 The Namkhan ends with a ritual sprint to Demul Top (Balang Ri), a 5000m plus escarpment that overlooks the Spiti valley. There the villagers will party till late in the evening. I am not following them. My head spinning with the potency of the alcohol. And in any case – my city legs do not have the stamina to chase the mountain folk to the top. So I watch them disappear into the distance, sitting in a field of wild garlic flowers. Access – Only by road from Simla or Manali. Road from Manali stays closed during winter. Eat / Drink – Outside of the town, very little is available to drink / eat in the villages. It is best to stock up supplies in the major towns. Other Tips – June to September is the summer season. By October, the Kunzum Pass freezes, blocking the road to Manali. This is a high altitude area, acclimatise well and stay hydrated always.